Happy January, and hello 2016! As we near the end of the first work week of the new year, I'm sure everyone's minds are on one thing: New Year's Resolutions. From weight loss to career goals, with a fresh new year, most people are seeking a fresh start toward something that they want to achieve. Whether you're seeking to change your whole life or just your outlook, we want to help. During the month of January, stay tuned for blog posts with tips and tricks to help you achieve your resolutions this year. But before we get started with that, I want to share with you something that's very close to my heart: Louisville Area Doulas' New Year's Resolution for 2016. 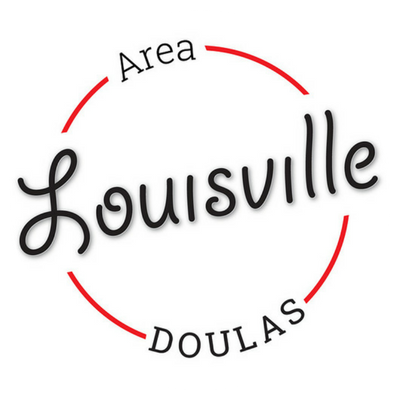 Louisville Area Doulas resolves to positively change the postpartum period for families in Louisville, Southern Indiana, and the surrounding area of Kentuckiana in 2016. THE CURRENT STATE OF POSTPARTUM SUPPORT IN LOUISVILLE. As we've written about before, there is a a lot of progress that needs to be made in the realm of postpartum support in Louisville. But first, let's look at the current state. 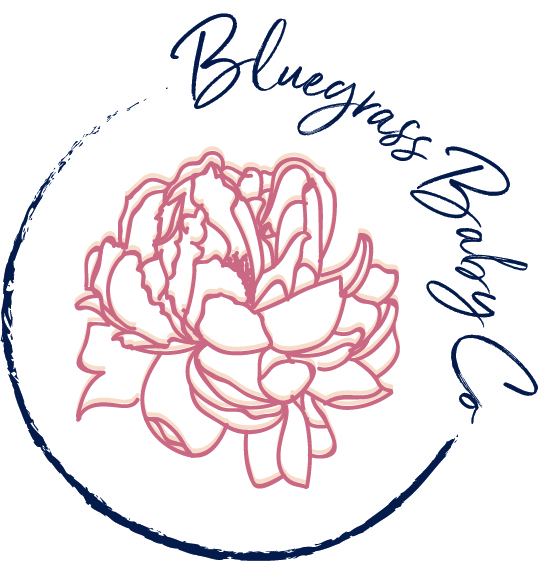 The great thing about the Kentuckiana community is that there are many options for new mom groups for mothers to meet with others in the same place in life that they're in. Through in person groups and facebook groups, they can meet others to build their village and do life with one another. The problem, though, is that they don't meet new mothers where they are. They have to be in a place where they can manage to get to the meetings or where they feel comfortable sharing candidly in a new space with new people. Some in person groups are focused on particular parenting choices or only available to mothers that don't work during the day. On the facebook groups, there is often a lot of bias and judgment (though often unintentional) that a struggling new parent certainly doesn't need. And more importantly, these groups don't address the biggest issues that new parents are facing: lack of sleep or regular routine. Needing help with managing the day to day tasks. The loneliness that happens when their partner returns to work but they aren't ready to venture out into the world again. It's no wonder that so many new mothers are suffering in silence. After all, sleep deprivation, a lack of defined schedule, and solitary confinement are frequent used to literally torture people. And that's what we're expecting new parents to live through. Meanwhile, they're hesitant to speak up about not feeling normal, because the assumption remains that one has to want to harm their baby to have postpartum depression. Anything else must just be par for the course, right? Hiring a postpartum doula can help new families with so many of these issues, but there's still a problem. First of all there are very, very few postpartum doulas in Louisville. There are even fewer that are actively practicing or that can take on more than one client at any given time. Many cannot provide overnight or live-in support. So much emphasis is place on birth in general that even those that know what a labor/birth doula is are surprised to hear that a postpartum doula even exists. Most birth doulas (of which there are far more than postpartum doulas) end their contract with a single postpartum visit and don't know that they can refer their clients to a postpartum doula, even if an obvious postpartum mood disorder isn't occurring. Medical care providers and hospital staff don't know that this a suggestion that they can make. There are many options for childbirth education in Louisville, but few (if any) classes are focused on educating new parents on their choices and experience during the postpartum period after they leave the hospital. Now don't get me wrong. I don't think anyone is willfully ignoring the needs of postpartum parents. But it is being neglected and it's unacceptable. When you know better, you do better. So let's start doing better. Louisville Area Doulas promises to continuing leading the charge to change the postpartum experience of Louisville and Southern Indiana's parents with renewed focus and dedication this year. We promise to continue offering top of the line postpartum support that is free of bias and judgment. We will meet our clients where they are and help them meet their unique parenting goals with professionalism and compassion. We promise to continue providing complete support to all of clients, not just those that hire us for postpartum services. That means that all of our labor doula clients will continue to receive 4 hours of complimentary postpartum doula support, and our prenatal class students will have the option of enjoying 2 hours of postpartum support. That means we will continue to treat placenta encapsulation as more than just providing capsules, but as the act of providing a fully supported postpartum experience by encapsulating in the client's home to make ourselves available to help however we are needed. We promise continue offering complimentary consultations to those that are unsure of what to do next, and postpartum planning sessions to those that don't want or can't afford postpartum services but still want help. We promise to make a concerted effort to reach those that cannot afford postpartum doula services. We will provide free community workshops and relevant and helpful blog content, as well as meet the diapering needs of struggling families through No Child Wet Behind. We will be adding the Your Birth Experience postpartum and breastfeeding curriculum to our class offerings as soon as it becomes available. We promise to raise awareness that postpartum doula support is an option by talking to everyone we meet about what it is that we do. We will coordinate meetings with doctors, midwives, nursing staff, and community leaders to get the word out that new parents can have help. That with a postpartum doula on their support team, they can thrive instead of just surviving. We will raise awareness about postpartum mood disorders in our community. We will expand our team of postpartum professionals by bringing a ProDoula postpartum doula training in the area. In hiring more postpartum doulas to the Louisville Area Doulas team, we will not only provide jobs in Kentuckiana, but be able to expand the amount and breadth of support that we currently offer. By increasing the awareness of the good that a postpartum doula can do and showing the birth community that being a postpartum doula can be both rewarding and sustainable, we hope to encourage others to do this work, whether they're part of the LAD team or not. And so, so much more. Every opportunity that we have to make a change in a positive and sustainable way, we will take it. In short, we promise to be the change that we want to see in our community. We promise that by January 2017, the postpartum landscape in Louisville and Southern Indiana won't look the same. to learn more about how a postpartum doula can help supprort your family, how you can gift postpartum support to the new parents in your life, or more information on how to become a postpartum doula, contact us today. The perfect Amazon Dash Button for new parents.